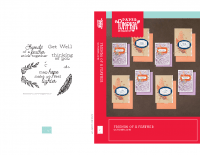 This card class and video are a fabulous example of what happens when the Stampin’ Up! 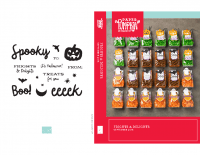 Animal Outing Suite meets the January Paper Pumpkin kit. It’s an adorable mix of animals and fun. I’ve created 2 of these cards with pieces from the kit, and the hippo was created with the Animal Outing Suite in the catalog. Showing these alternates can be made with the January kit, and/or with regular catalog products if you don’t have the kit (the kit and refills have sold out). Video: I will be recording this class video live at noon EST today. It’s free to join in live and be part of the fun, win prizes and more. If you can’t make it live, this video replay will always be available here on my blog, Facebook and/or Youtube. Prize Patrol! I’ve got a mega-giveway, not only will I be giving away a couple of these “sold out” kits, I’m also giving away 2 full Animal Outing Bundles. Comment on the video to enter. I’ll be drawing prizes for both live and replay viewers. 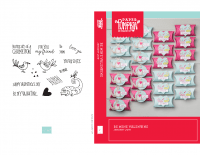 Stamp Case Inserts – I now have downloadable stamp case inserts for September 2018– January 2019 posted below. I will post these inserts each month with my videos. 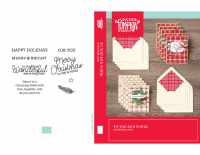 FREE GRAB BAGS – Want everything in the new Stampin Up Occasions or Annual Catalog? 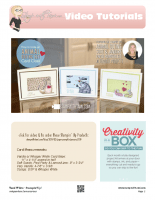 Join my VIP online stamp club and start collecting on budget and receive free gifts. 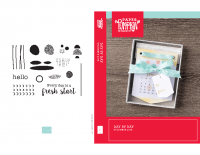 Join now through February 28 and receive a Free Grab Bag of new Stampin Up products from me as a bonus gift! Here are the chapters of this online class video in case you’d like to skip ahead. This video also contains closed captions for the hearing impaired. February’s Paper Pumpkin kit will feature beautiful succulent flowers. It will make 9 full sized cards (3 each of 3 designs). This is a video comment entry giveaway. Winner drawn on February 22. To enter, simply click over to the video on Facebook or Youtube, and leave a comment. No purchase necessary. I love these cards! Soooo cute! I’ve fallen in love since watching your online! Now on my list so hopefully they will have some come in. Loved your tip on picking color up with the color remover pen. Loved your Outing cards, great job. OMG, those cards are absolutely adorable!! Love watching your videos! !